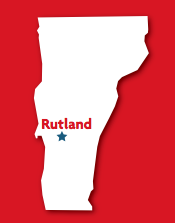 Todd Transportation, located in Rutland, Vermont, is a full-service moving and storage company. Todd Transportation services Vermont, Western New Hampshire and Eastern New York, specializing in local and long-distance moving, office relocations, and storage of commercial and household goods. Todd Transportation is committed to our customers and provides a single source for all of your moving and transportation needs. Wheaton understands that moving is an experience that changes your life and has to be handled with an expert eye toward detail — and emotion. Wheaton has grown from humble beginnings, a single move from Ohio to Michigan in 1945, to a worldwide moving company by keeping a single focus: we move your life. It’s exciting to expand the Wheaton brand into the state of Vermont with such a high-quality agent. We look forward to a long partnership and are pleased to welcome the Todd family back into the agency network. More than 83,000 people in Vermont live on incomes that put them at risk of hunger. 29% of those in need are children. Donate and join the MOVEment today. As you prepare to make your move ……set aside any non-perishable food items you’d like to donate. Our movers will pick up your donation and deliver it to our local food bank. The donations will be provided to local families in need!